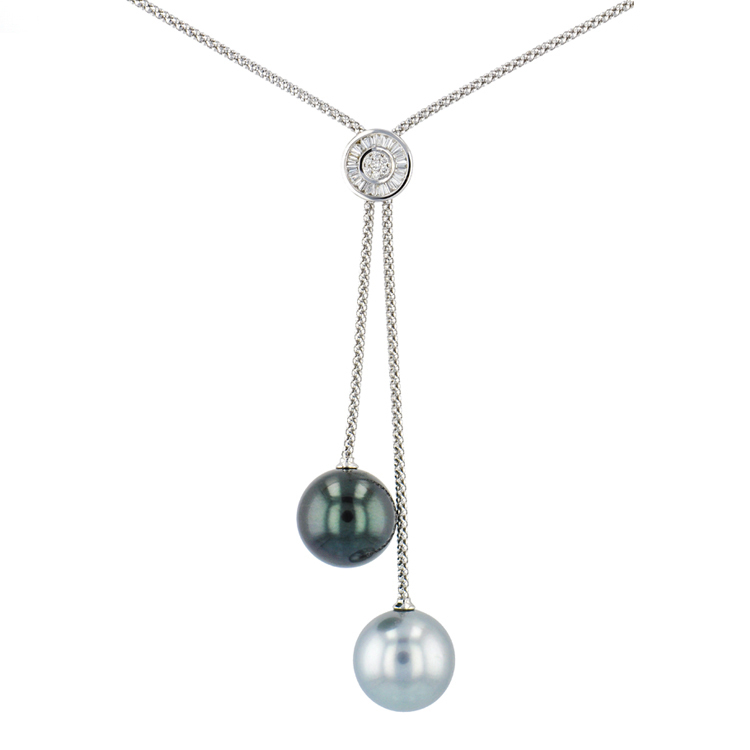 Hinerava's Poésie Collection presents its splendid Tahitian pearl necklace with a unique sparkly geode center, 3.52 carats, haloed with diamonds, 0.1 carats, and set in 14K white gold. 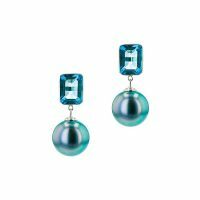 The complementing Tahitian pearl measures 8mm. Lenght: 41cm. 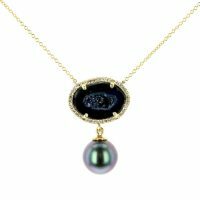 Hinerava's Poésie Collection presents its splendid Tahitian pearl necklace with a unique sparkly geode center, 2.86 carats, haloed with diamonds, 0.1 carats, and set in 14K yellow gold. 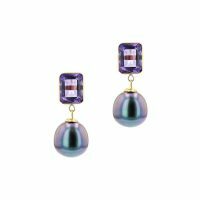 The complementing Tahitian pearl measures 8mm. Lenght: 41cm. 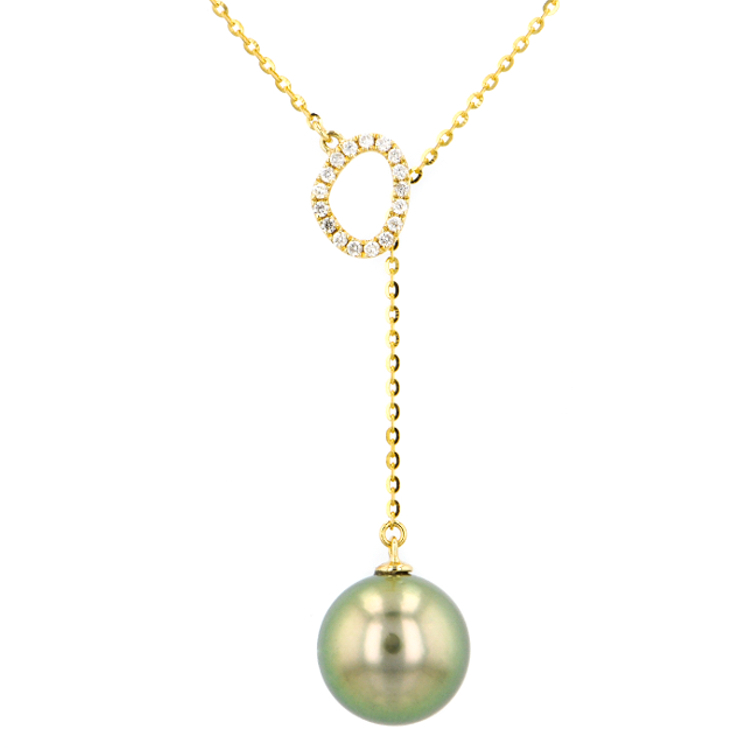 Hinerava's Poésie Collection presents its splendid Tahitian pearl necklace with a unique sparkly geode center, 2.1 carats, haloed with diamonds, 0.09 carats, and set in 14K yellow gold. 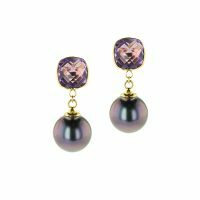 The complementing Tahitian pearl measures 8mm. Lenght: 41cm. 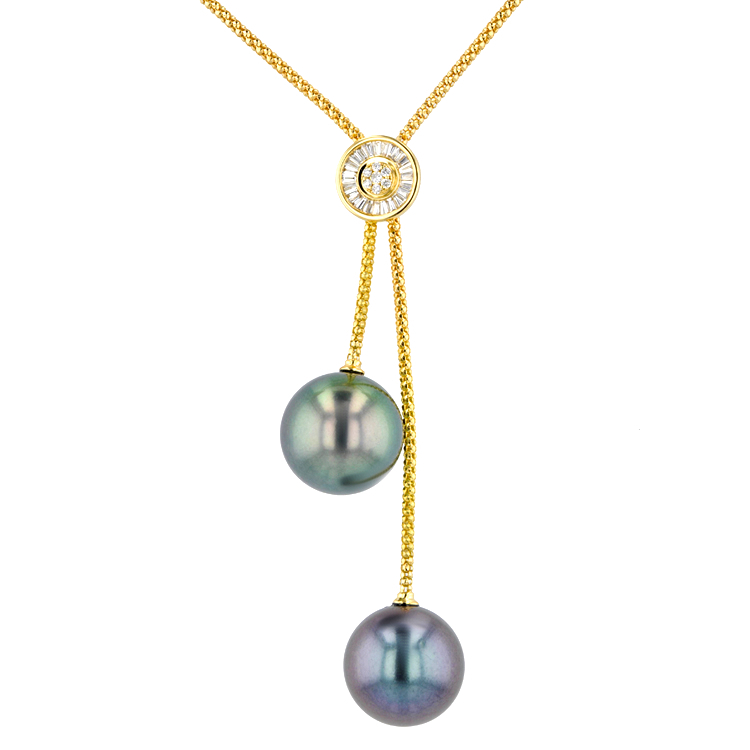 Hinerava's Poésie Collection presents its splendid Tahitian pearl necklace with a unique sparkly geode center, 3.86 carats, haloed with diamonds, 0.1 carats, and set in 14K yellow gold. 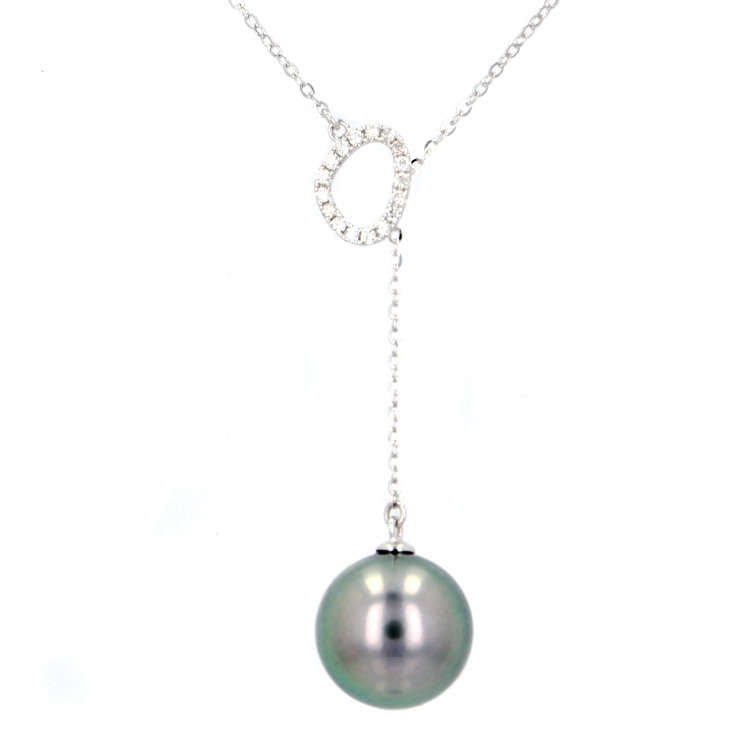 The complementing Tahitian pearl measures 8mm. Lenght: 41cm. 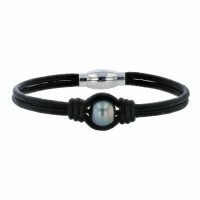 His Hinerava Collection features a trendy masculine piece composed of robust black leather and a colorful circled Tahitian pearl of 10 to 11 mm. 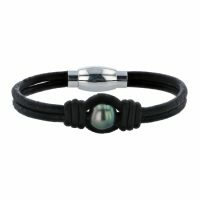 His Hinerava Collection features a child bracelet composed of robust black leather and a colorful circled Tahitian pearl of 8 to 9 mm. 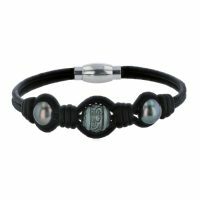 His Hinerava Collection features a trendy masculine piece composed of robust black leather and two colorful circled Tahitian pearls of 10 to 11 mm. 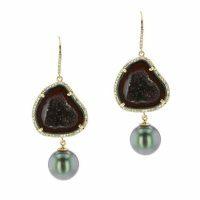 His Hinerava Collection features a trendy masculine piece composed of robust black leather and three colorful circled Tahitian pearls of 12 to 13 mm. His Hinerava Collection features a trendy masculine piece composed of robust brown leather and a colorful circled Tahitian pearl of 10 to 11 mm. 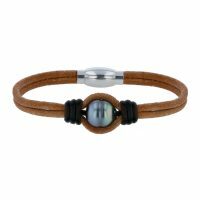 His Hinerava Collection features a child bracelet composed of robust black and brown leather and a colorful circled Tahitian pearl of 8 to 9 mm. 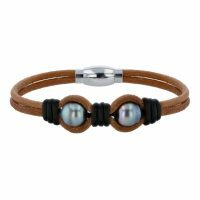 His Hinerava Collection features a trendy masculine piece composed of robust black and brown leather and two colorful circled Tahitian pearls of 10 to 11 mm. 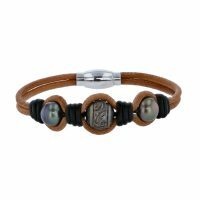 His Hinerava Collection features a trendy masculine piece composed of robust black and brown leather and three colorful circled Tahitian pearls of 12 to 13 mm. 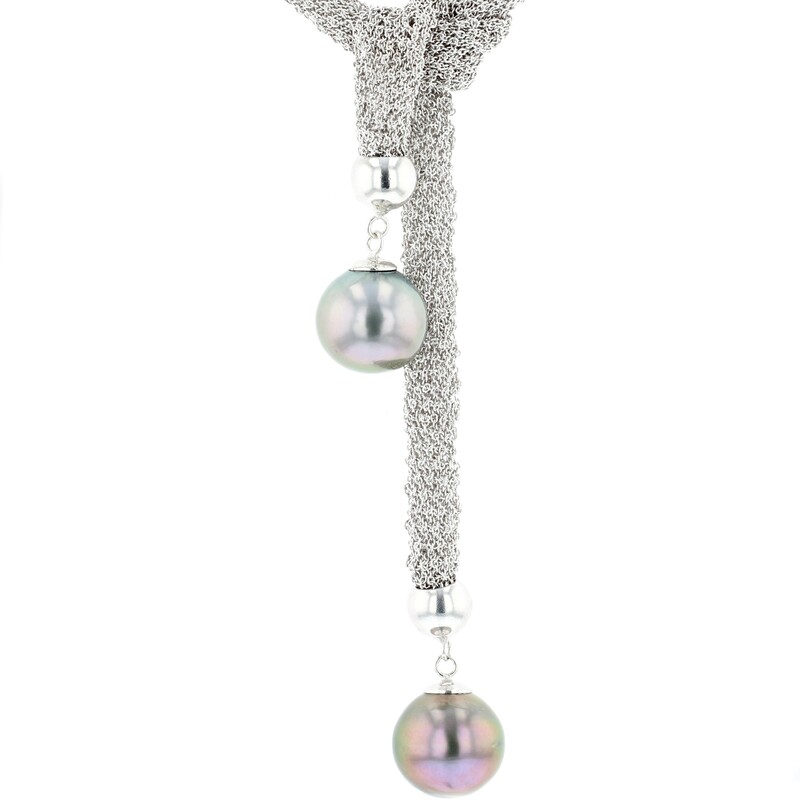 Hinerava’s Signature Collection features a striking Starfish & Pearl Necklace. 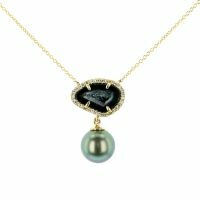 The starfish has pavé white diamonds, 0.15 carats, set in 14K yellow gold and finished with an exceptional Tahitian pearl. 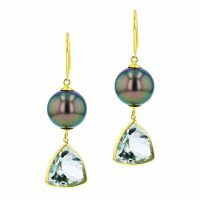 Length : 46.5 cm. 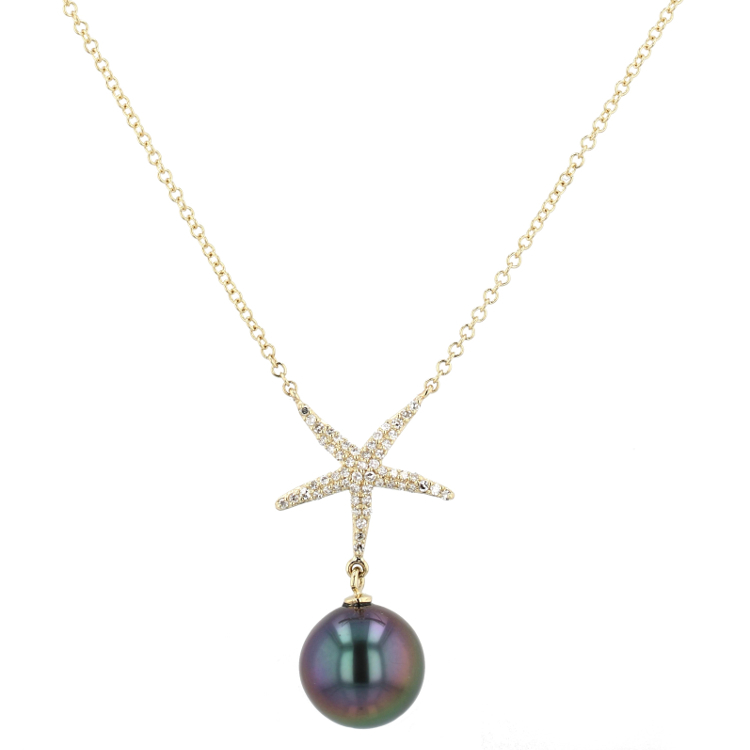 Hinerava’s Signature Collection features a striking Starfish & Pearl Necklace. 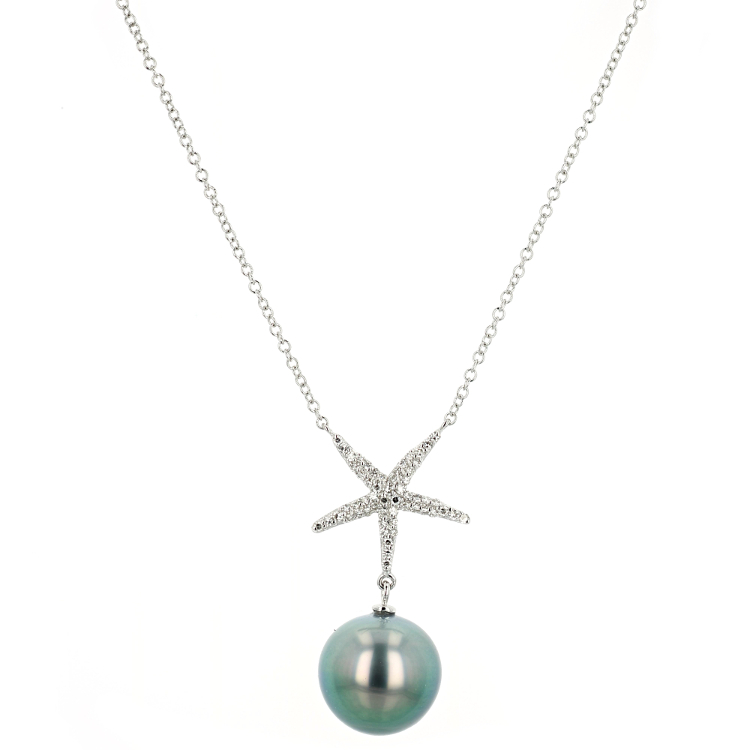 The starfish has pavé white diamonds, 0.15 carats, set in 14K white gold and finished with an exceptional Tahitian pearl. 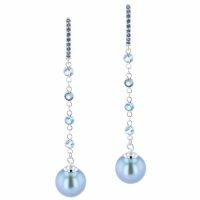 Length : 46.5 cm. 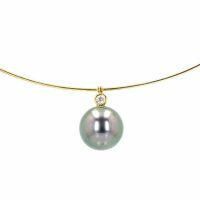 Hinerava’s Signature Bezel Diamond Solitaire & Pearl collar features a striking bezel white diamond, 0.07 carats, set in 14k yellow gold with an exceptional Tahitian pearl of 13 mm. Collar Diameter: 13,3cm. 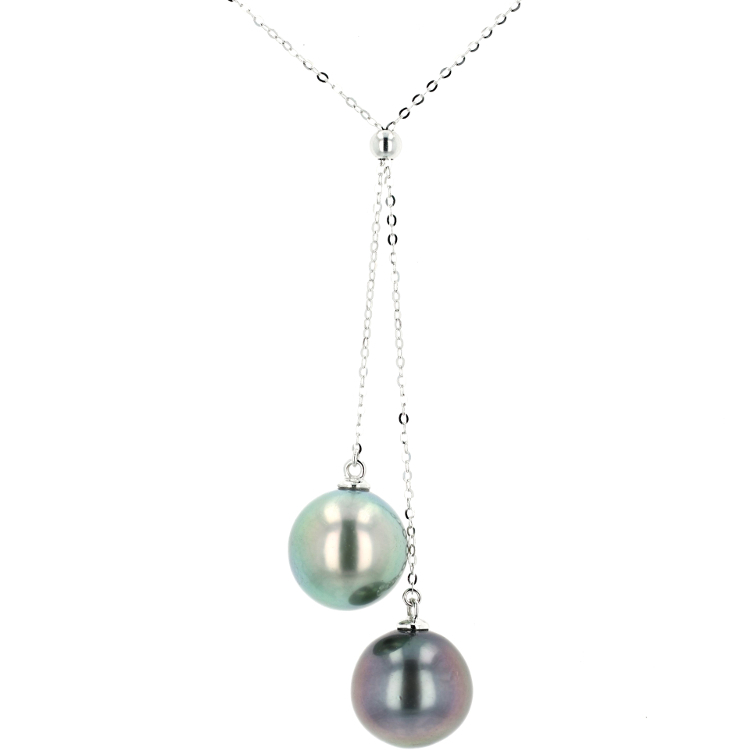 Length: 43cm. 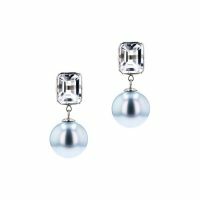 Hinerava’s Signature Bezel Diamond Solitaire & Pearl collar features a striking bezel white diamond, 0.07 carats, set in 14k white gold with an exceptional Tahitian pearl of 14 mm. Collar Diameter: 13,3cm. 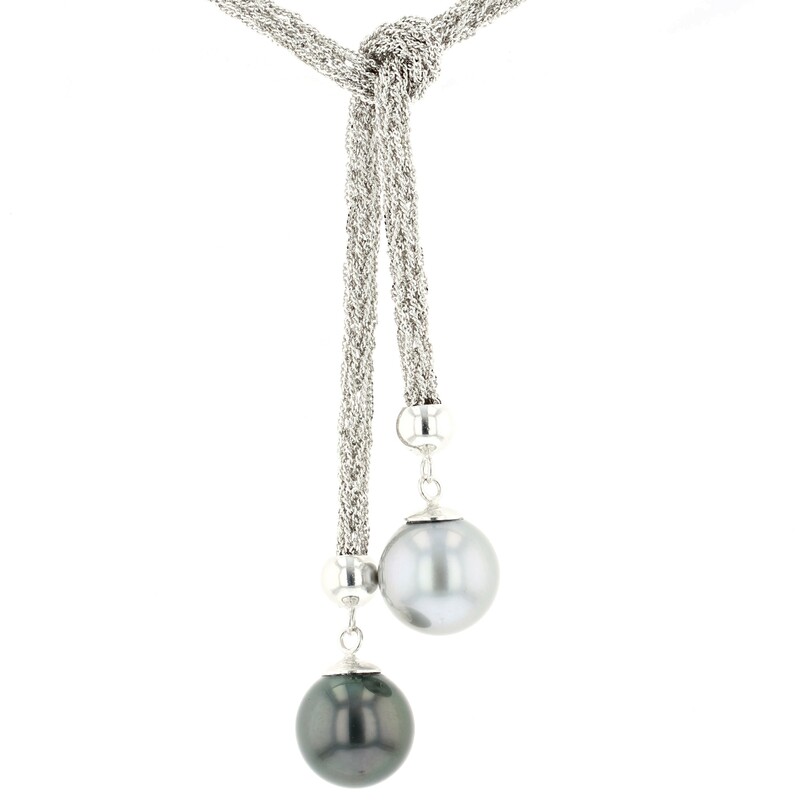 Length: 43cm. 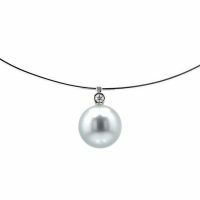 Hinerava’s Signature Large Circle Diamond necklace features a delicate white diamond circle, 0.1 carats, set in 14k white gold with an exceptional Tahitian pearl of 9 mm. 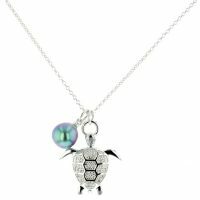 The Turtle Charm necklace features a sterling silver turtle bezeled with white topaz and a beautiful Tahitian pearl. 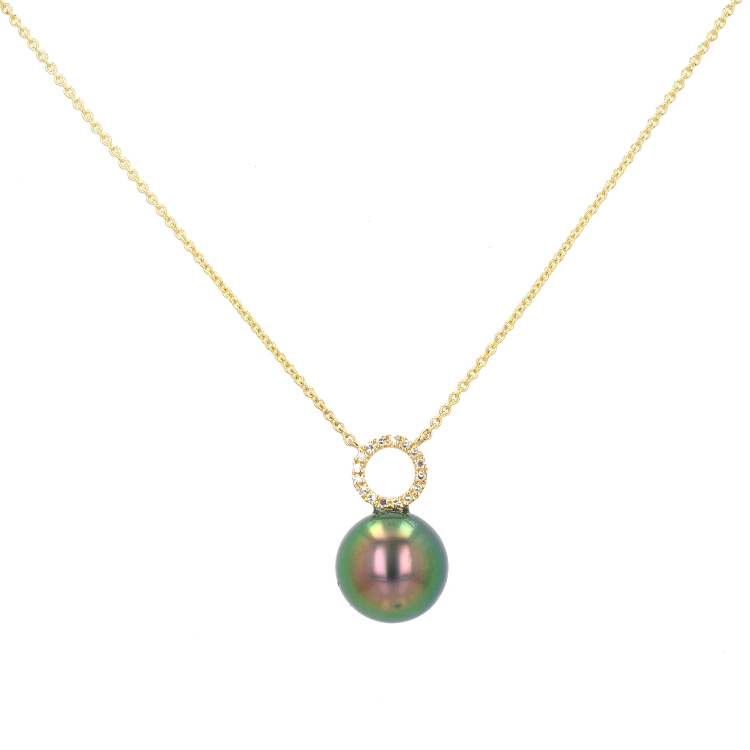 The sale of this necklace contributes to our Giving Back program, where Hinerava dedicates funds to the mission of Tetiaroa Society in the preservation of the marine environment through their critical conservation efforts, scientific research, and education programs for local schools in French Polynesia. 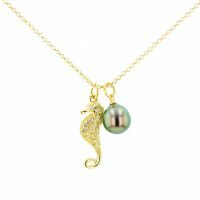 The Seahorse Charm necklace features a seahorse bezeled with white topaz and a beautiful Tahitian pearl, set in 925 vermeil. 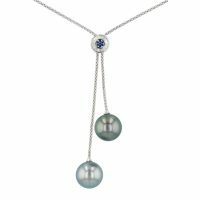 The purchase of this necklace contributes to our Giving Back program, where Hinerava dedicates funds to Tetiaroa Society in the preservation of the marine environment. 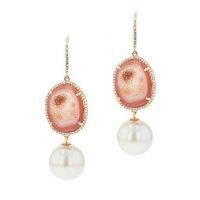 Length: 46 cm. 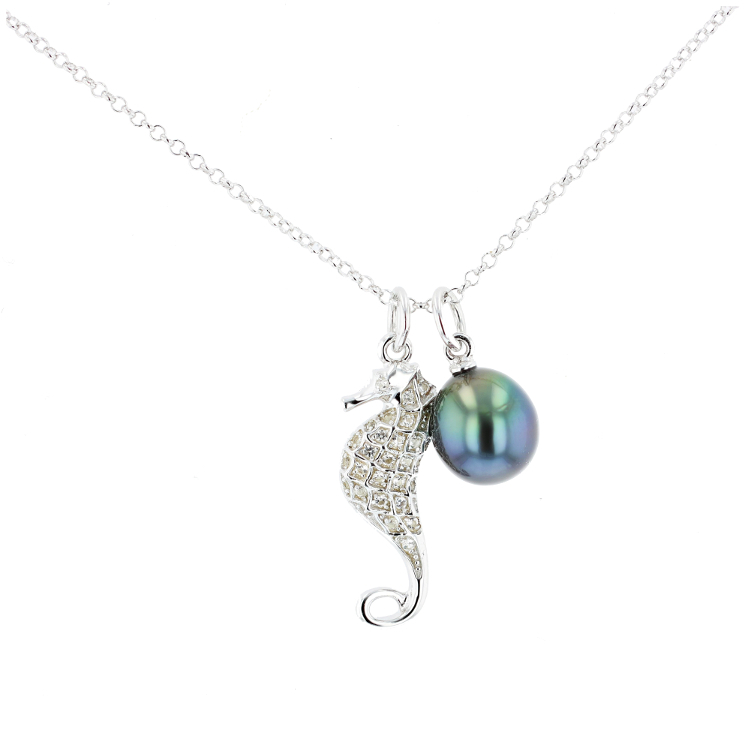 The Seahorse Charm necklace features a seahorse bezeled with white topaz and a beautiful Tahitian pearl, set in sterling silver. 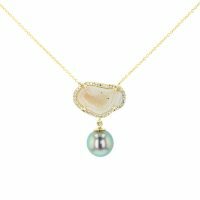 The purchase of this necklace contributes to our Giving Back program, where Hinerava dedicates funds to Tetiaroa Society in the preservation of the marine environment. Length: 46 cm. 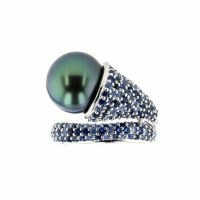 Hinerava’s Signature ring features a mesmerizing Single Pearl Halo Diamond Ring, paved with white diamonds, 0.22 carats, set in 14k white gold with an impressive 12mm Tahitian pearl. 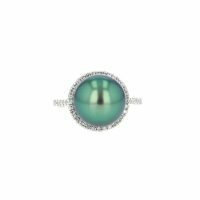 Hinerava’s Privilege Collection features an exquisite Tahitian pearl ring with an exceptional 13mm emerald pearl, set in 18K white gold with blue sapphires, total 2.10 carats. Hinerava’s Signature Collection features a quintessential classic pearl ring, paved with white diamonds, 0.09 carats, set in 18K yellow gold with an exceptional 9 mm Tahitian pearl. Hinerava’s Signature Collection features a quintessential classic pearl ring, paved with white diamonds, 0.09 carats, set in 18K white gold with an exceptional 9 mm Tahitian pearl. 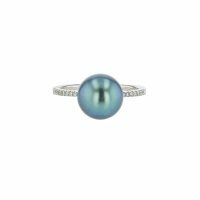 Hinerava’s Signature Collection features a quintessential classic pearl ring, paved with white diamonds, 0.09 carats, set in 18K white gold with an exceptional 11 mm Tahitian pearl. Hinerava’s Signature Collection features a quintessential classic pearl ring, paved with white diamonds, 0.09 carats, set in 18K yellow gold with an exceptional 11 mm Tahitian pearl.